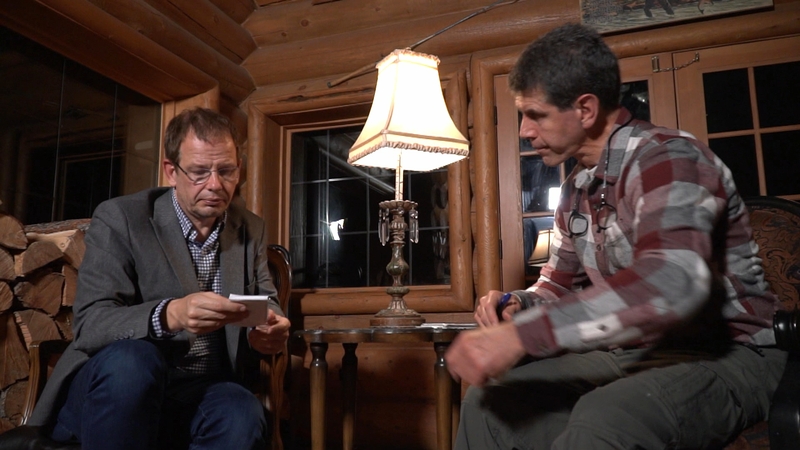 Doping Top Secret: Traitors – Fallout from the Russian Doping Scandal. Sportschau. 02.12.2018. 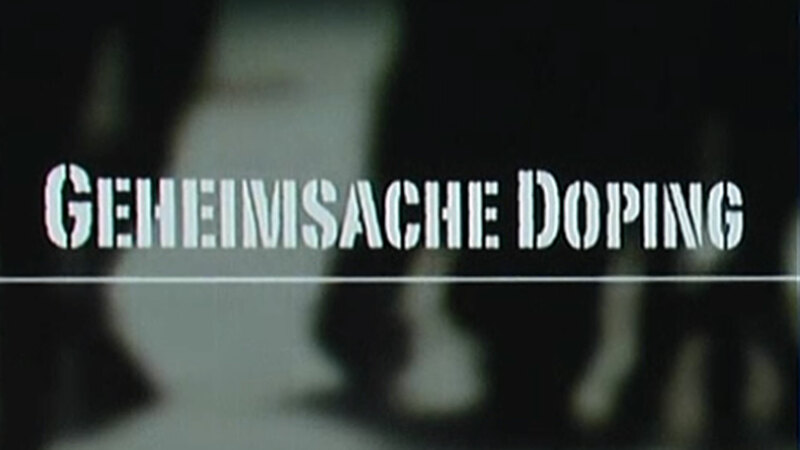 21:34 Min.. Das Erste. Sporting leaders love to speak of their "zero tolerance" approach to doping. But the response four years on from ARD's first revelations of a state-sponsored programme in Russia has been inconsistent and clouded by politics and pragmatism. Hajo Seppelt and Nick Butler explore the role played by World Anti-Doping Agency President Craig Reedie. 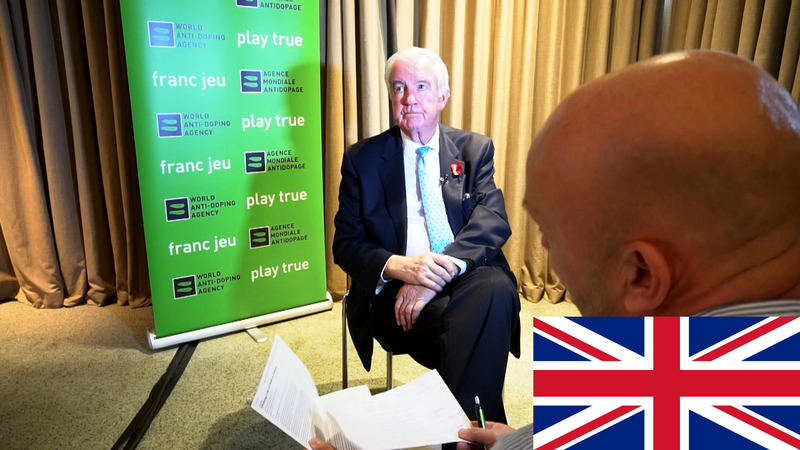 Reedie remained a vice-president of the International Olympic Committee for over two years after his WADA Presidential appointment in 2013. He remains an IOC member today. The Scot insists he is happy with all the efforts he has made for clean sports throughout the Russian saga. "I have always tried to be the independent chairman of WADA," he insists. WADA commissioned an investigation following the ARD story about Russian athletics in December 2014. But a leaked email from Reedie to his former WADA Finance Committee colleague Natalya Zhelanova raised concerns about Reedie's true commitment. Zhelanova also worked for the Russian Sports Ministry. WADA's investigations eventually alleged she had been directly involved in the doping programme. Reedie, writing on April 30, 2015, expressed concern at "what seems to be an atmosphere that there is a problem between WADA and the Ministry in Russia" before reassuring her that there is "no action being taken by WADA that is critical of the efforts which I know have been made, and are being made, to improve anti-doping in Russia". He also specifically stated that they opened an investigation following the ARD documentary after being "pressed by a number of National Anti-Doping Agencies" . Reedie and WADA communications figures abruptly terminated a recent interview with ARD when this email was raised. "[The email was] a long time ago," Reedie countered before doing so. "It's way before anybody knew anything about the current data." He insists that they did act swiftly in commissioning the investigations, that they were not aware of additional allegations beyond athletics and that they did not do so because of external pressure. Jack Robertson, a former WADA chief investigator who lost his job amid differences of opinion over how to deal with Russia, believes differently. Robertson, a veteran law enforcement officer who has tackled drug cartels in Latin America on behalf of the US Government, claims that he was instructed to " reach out to NADOs" by former director general David Howman amid concerns that Reedie would not otherwise act. "In 2015 we had more information regarding other sports - not only athletics," he told ARD. "Reedie was the one to decide whether to investigate further. He said he would look into it. I am not aware he did anything until the cover-up at the Olympics in Sochi was exposed in May 2016". Robertson, writing rather than speaking his answers due to a serious illness which has affected his voice, added: "Then WADA acted surprised. But some key parts of what was published we knew already in summer, 2015. Reedie only started investigations because the scandal was exposed." Reedie claims that he "hardly knew Jack Robertson" . "He is dragged out to make comments about once every two years," he adds. "It is an old story and I am not at all happy that he does so." But minutes from WADA meetings show how calls were made in November 2015 for investigations to be widened. There were further calls for WADA to do so over following months and the initial 2015 report had raised concerns regarding the doping control process and the presence of FSB security officers in the Sochi Olympic Laboratory. From May 2016 onwards, the anti-doping body did push for stronger sanctions against Russia than those ultimately enforced by the IOC at the Rio Olympics. Reedie even faced attacks from the IOC for acting too harshly on Russia. WADA also supported Russia's part-suspension from the Pyeongchang Winter Olympics in February and questioned the IOC decision to lift their ban just three days after the Closing Ceremony. But, amid heavy lobbying from the sports world, WADA then controversially lifted their suspension of the Russian Anti-Doping Agency in September. This was despite two outstanding compliance criteria having not been met: the admission of the existence of a state-run doping system and the opening-up of the Moscow Laboratory to international inspectors. 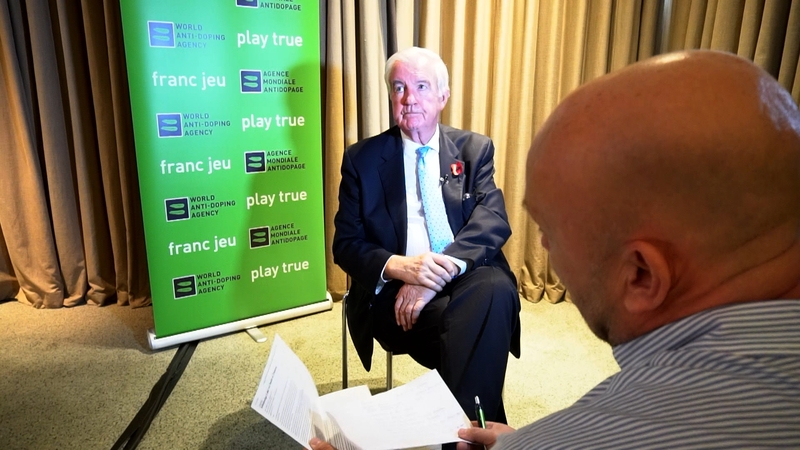 WADA insist that the suspension will be reimposed if Russia does not fulfil a promise to release full data from its Moscow laboratory by December 31, but this will be subject to political and legal deliberations. Athletes from across the western world have spoken-out in an unprecedented manner to criticise the lifting of the ban. Yuliya Stepanova, the runner turned whistleblower whose revelations to ARD first exposed the doping scandal in 2014, was among speakers at an emergency summit at the White House in October. "During the past six years I and my husband at times felt that we are not just fighting the doping system in Russia but we are also fighting the IOC and WADA," she said. Reedie complained that he had not been invited to the White House event and was therefore given no chance to defend himself. But he has shown little interest in interacting with whistleblowers such as Stepanova, who he has never met in person. "Nobody asked me if I would like to meet the whistleblowers," Reedie responded to ARD. "Other people were dealing with the whistleblowers. Not me. Here we are all these years later, yes it might have been [a good idea to meet them]. [But] they were being well looked after by people who were interested in them, not least ARD in Germany, so fair do's." IOC President Thomas Bach, in comparison, has met with them twice. Neither the IOC nor WADA pressured Russia to cease attacks on whistleblowers before lifting their respective suspensions. "If you wanted to make conditions for whistleblowers, that should have applied across the board," Reedie said. "That did not happen. I'm afraid we'll have to live with that now." Anti-doping inspectors hope to finally inspect the Moscow over coming weeks and Reedie claims to be " 100 per cent confident " that Russia will provide full access. A failure to do so would provide the biggest opportunity yet for WADA and its President to prove that they have the interests of clean sports first and foremost. 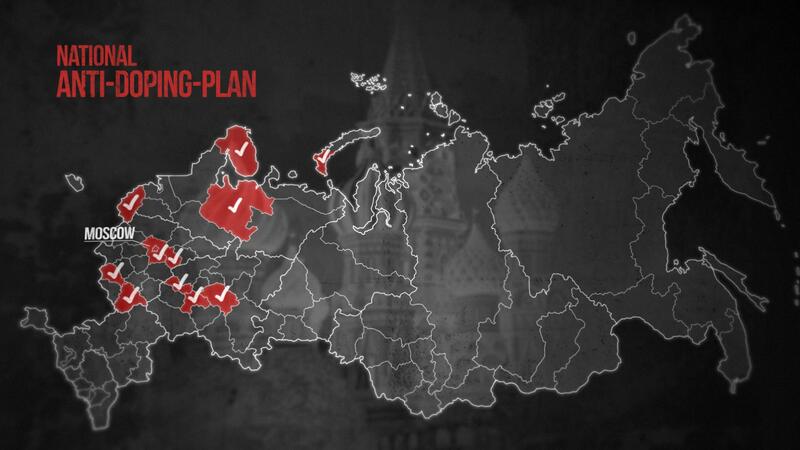 Has Russia really changed four years on from doping revelations?